It’s been more than eight months since Moana released, but its popularity with the kids haven’t gone down even a bit. This musical adventure animated movie follows around Moana, a spirited and headstrong teen as she embarks on a journey to save the people of her island. The film was so successful that kids search for its coloring pages even today. 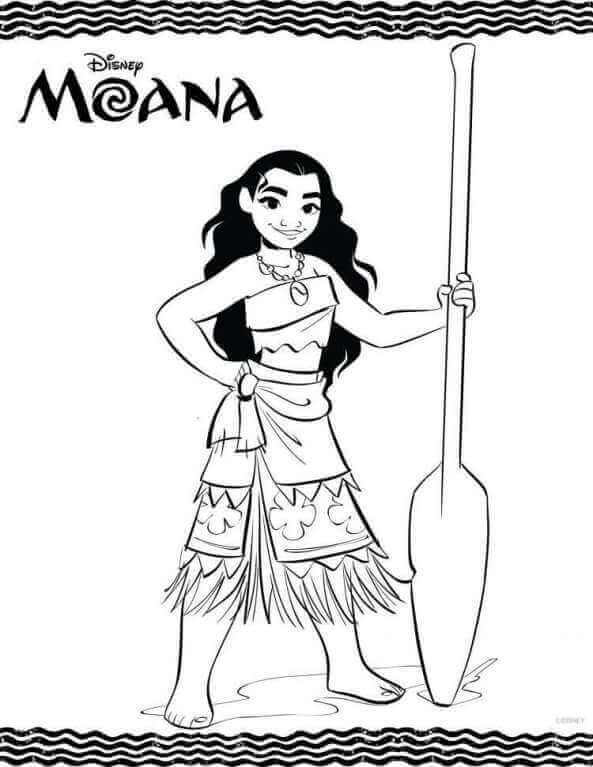 Keeping up with the demand, we, at ScribbleFun, have compiled a list of not ten or twenty, but thirty-five printable Moana coloring pages. 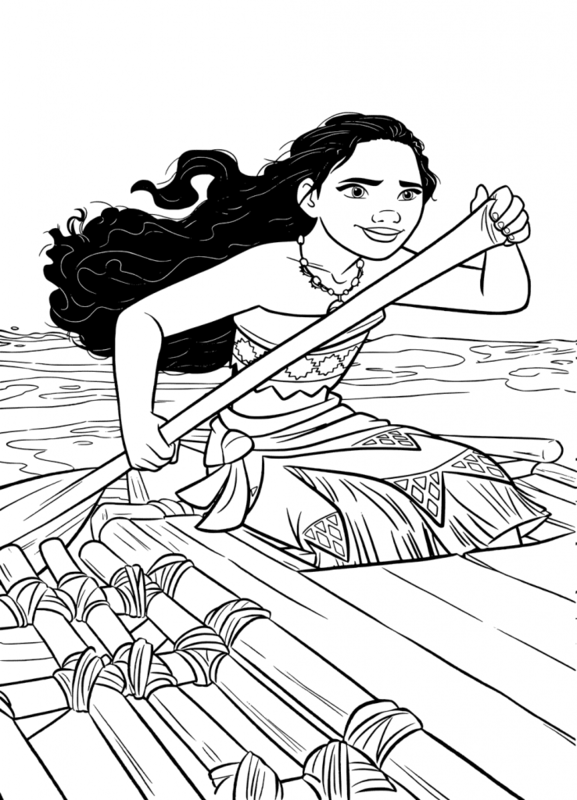 Take a look at our list of 35 unique, beautiful and neat Moana coloring pages. 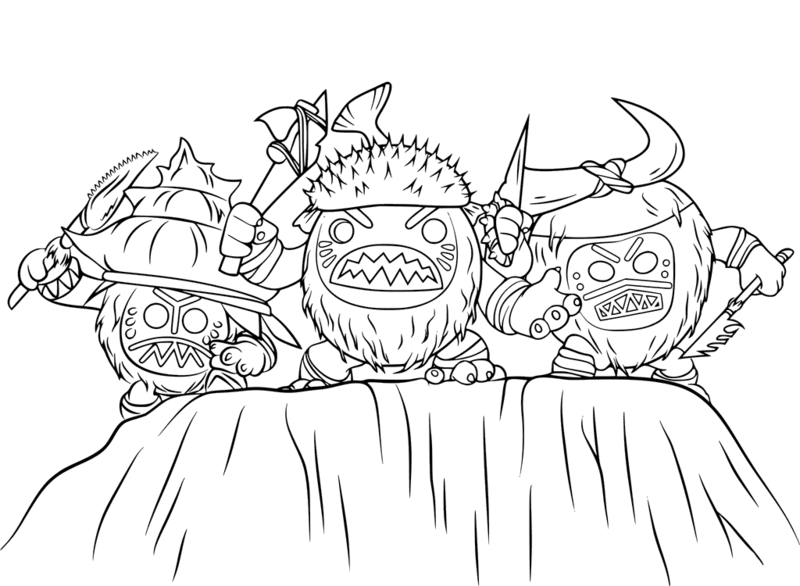 We’ve even included coloring sheets of characters, which are not featured anywhere, for example, Te Fiti coloring page. Take a look! 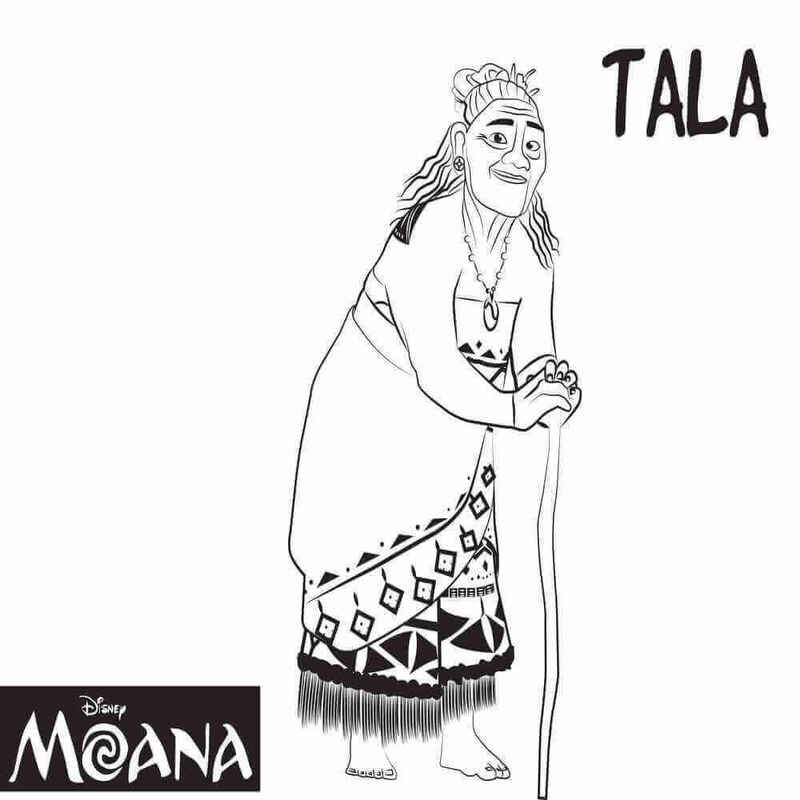 Grandma Tala has described Moana beautifully! She is the one who dares to stand out from the crowd. And indeed, Moana does! Moana is practically fearless, adventurous, headstrong and capable to take almost anything physically. Yes, like every teen, even Moana has self-doubts, but she never backs out from the challenges. 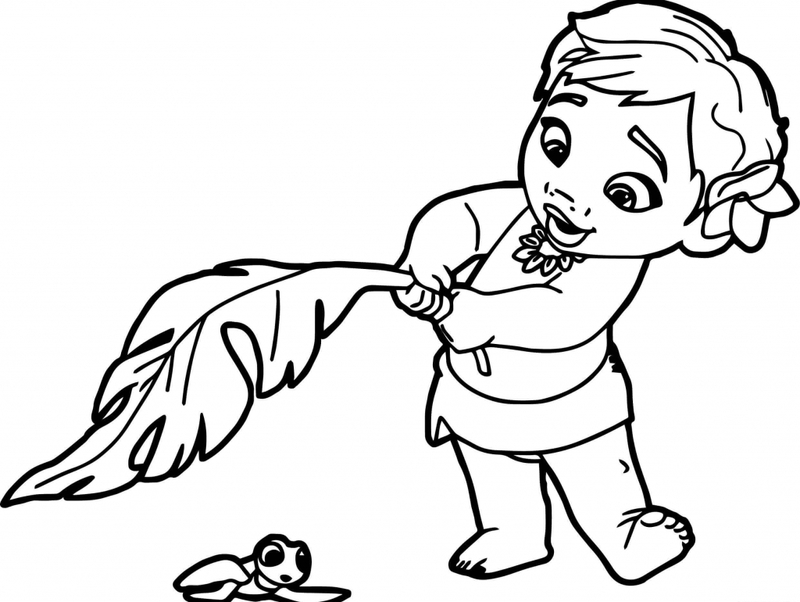 This coloring page depicts the strength and stealth of this new Disney princess. Moana takes every task and responsibility with utmost seriousness. She does not wait for her father’s permission to save the people of her island. She goes into the Ocean defying his father. Here’s a coloring page of the majestic Te Fiti, the goddess who created all the living beings, but became Te Ka, a demon of fire and magma after Maui stole the heart from her. Her sole aim after becoming Te Ka was to eradicate the humanity for Maui’s mistake. Thankfully, Moana ends her curse by the end of the movie. 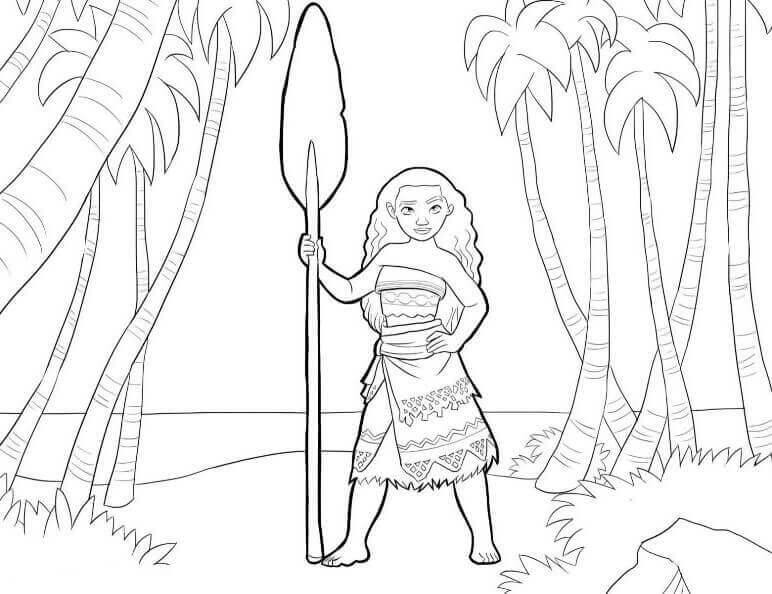 This coloring page featured Moana with the heart of Te Fiti. The heart of Te Fiti, a small sized, green colored pounamu stone controlled the monstrous forces of the sea, until Maui, the demi God stole it from Te Fiti. Millenniums later, little Moana discovers the heart while saving a baby turtle from the predators. The heart of Te Fiti was actually given to Moana so that she can restore peace and prosperity to the island. 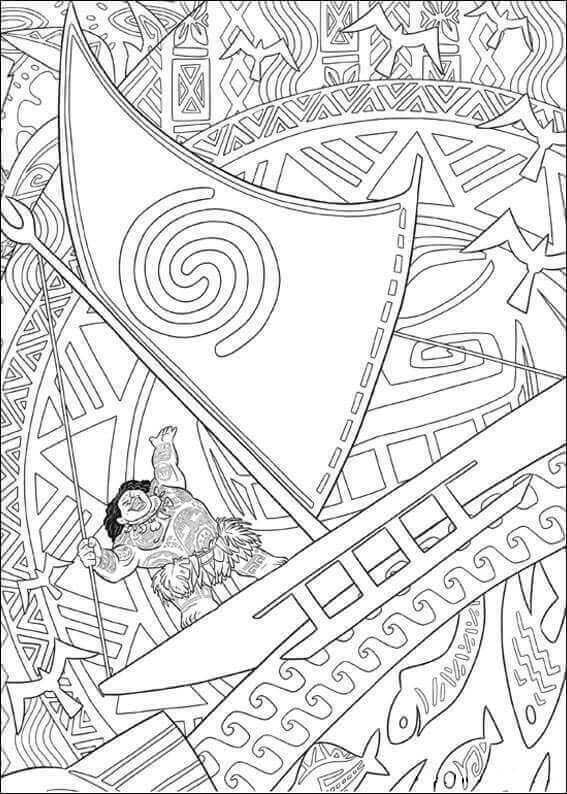 This coloring page features the scene when the ocean handed over the Te Fiti heart to the ‘chosen one’. When Moana was a baby, her favorite pastime was selecting shells from the ocean. And it was during shell hunting that she came across the heart of Te Fiti. Moana fascination with Ocean began when she was a toddler. But her father was very strict and forbade her from traveling past the reef. But Moana did not pay heed to her father’s warning and waddled to the ocean to save a newborn turtle from the predators. 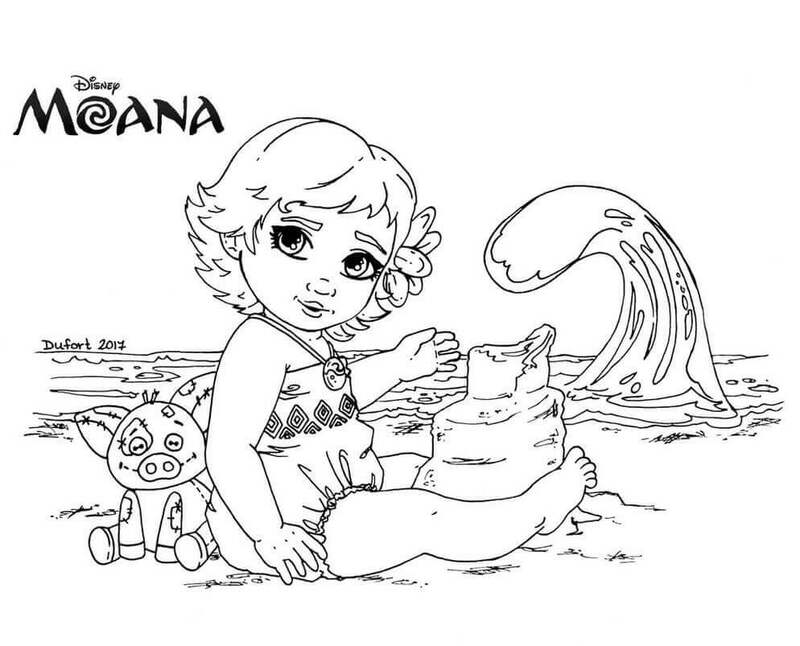 Here’s another coloring page featuring baby Moana with her favorite toy, the shell. And it was precisely at this point when the ocean approached Moana with the heart of Te Fiti. The Ocean was highly impressed by Moana’s purity with the sea turtle and selects her to save the world. What is baby Moana doing near the shore? Oh, she making a sand castle, with her stuff toy, which looks exactly like Pua. You should try to fill this coloring page with the brightest and most beautiful shades possible. Try to make it as tropical looking as you can. 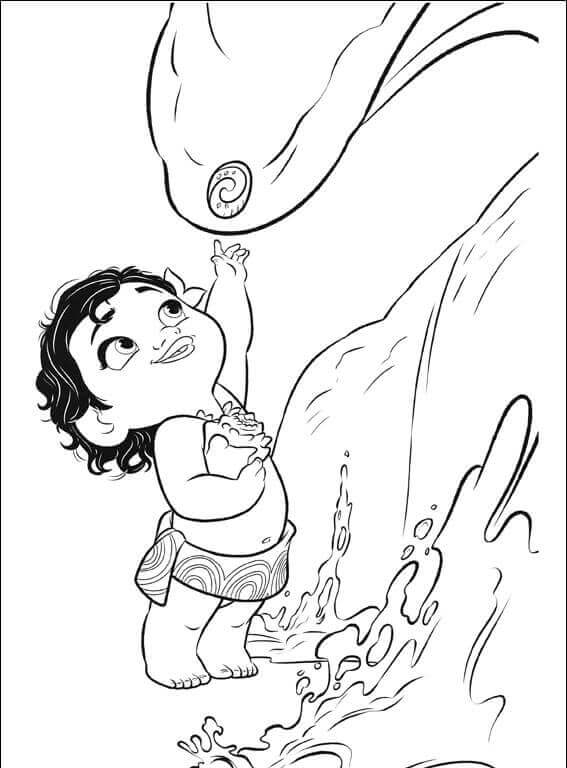 Here’s another coloring page of princess Moana saving the baby turtle from predators. When Moana was a baby, her grandfather Tala would narrate her stories of the demigod Maui, Te Fiti and the heart of Te Fiti. She even tells her that only a fearless hero could save the humanity by finding Maui and returning the heart to its right place. Moana’s fixation with seashells did not cease even after growing up into a young and beautiful woman. 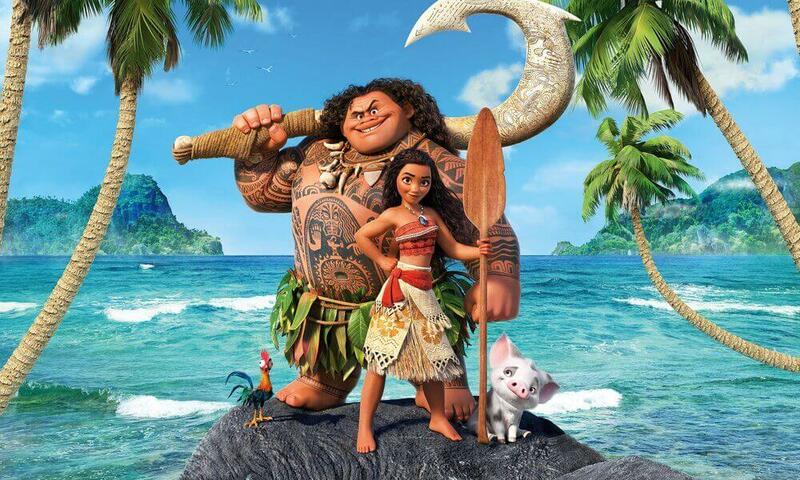 Even her father Tui notices Moana love for the ocean and shells, yet he persuades her that their island is a paradise and she must follow her dad’s footsteps by becoming the chief. But Moana sets out to find Maui after being encouraged by her grandmother. The same night, the ocean carries her to Maui’s island. When the food on the island begins to die out, Moana decides to travel beyond the reef to find food for her people. But her father forbids it. She then forages into the ocean without informing and almost drowns even before making it out of the barriers. Uh oh! Moana accidentally dropped the heart of Te Fiti in the ocean while grappling with the waves. Moana was completely disheartened when she almost drowns in the ocean. She tells Tala that she has failed as a sailor and wants to place the stone on the mountain. Tala then responds by taking Moana to a secret cave, where she reveals that her ancestors were voyagers and that’s the reason behind Moana’s love for the ocean. 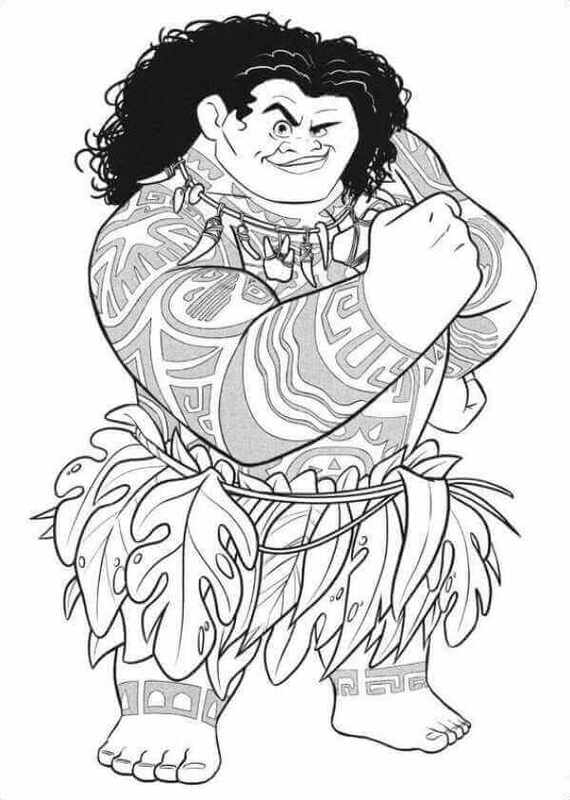 We’re winding up the compilation with the coloring page of Tui and Sina Moana’s parents and support pillars. Tui was initially against the idea of Moana going beyond the reef, but he was the proudest when he saw the island flourish again only because of her daughter. 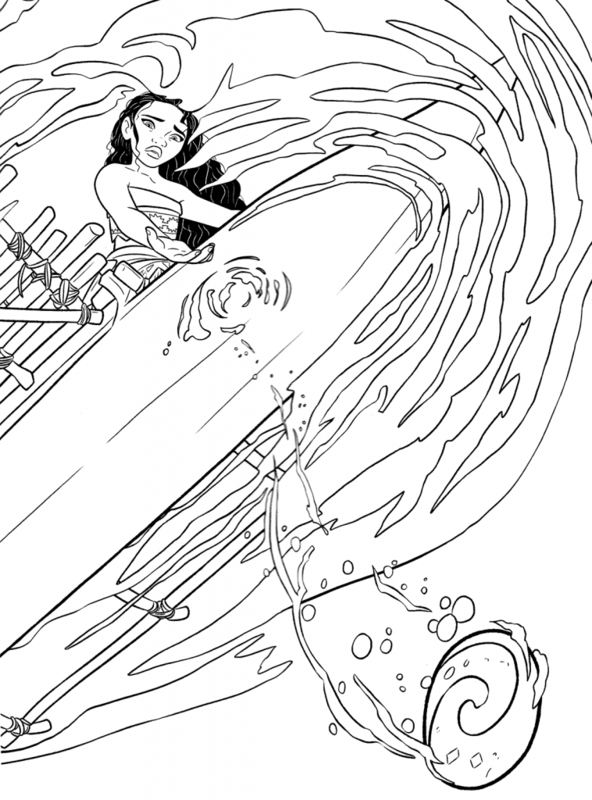 Sina, on the other hand, appreciates Moana’s love for the water, but her motherly instincts always come in between. 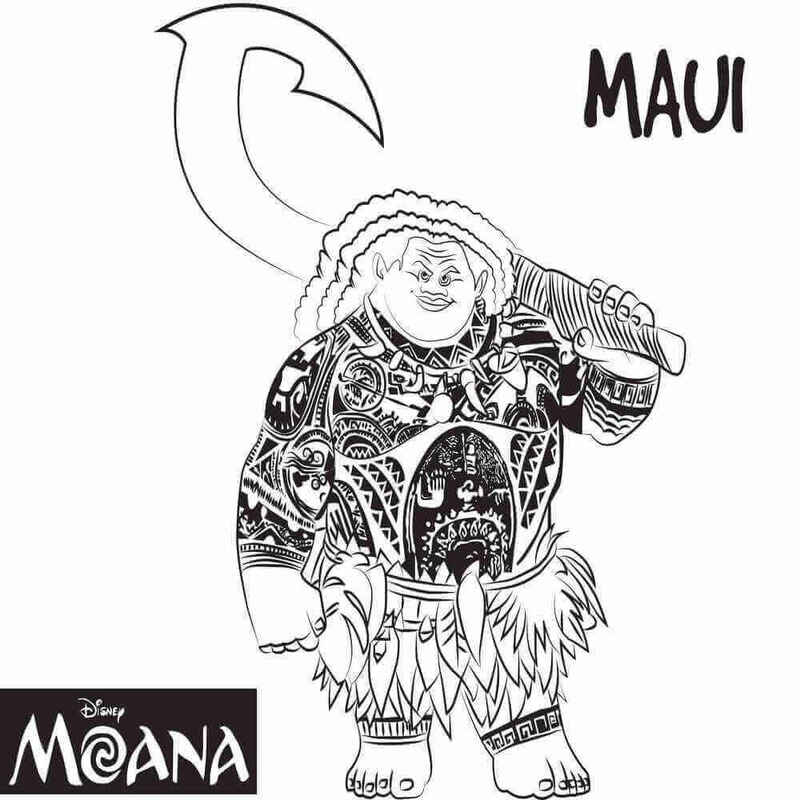 This coloring page features Maui, the boisterous demigod of South Pacific legend and the deuteragonist of “Moana”. Maui was born human, but was turned into a demigod by the Gods when his parents threw him into the ocean. 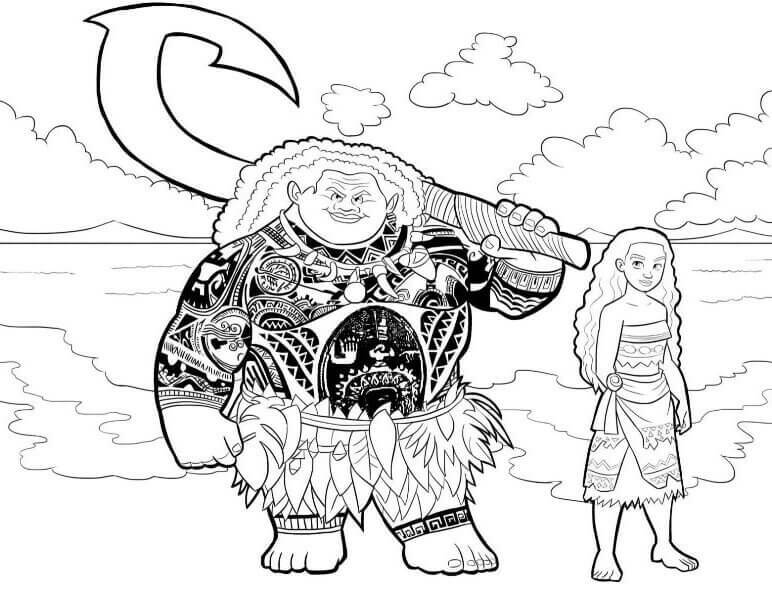 The incredibly detailed coloring page featured here is of Mini Maui, Maui’s sentient tattoo and his best friend. 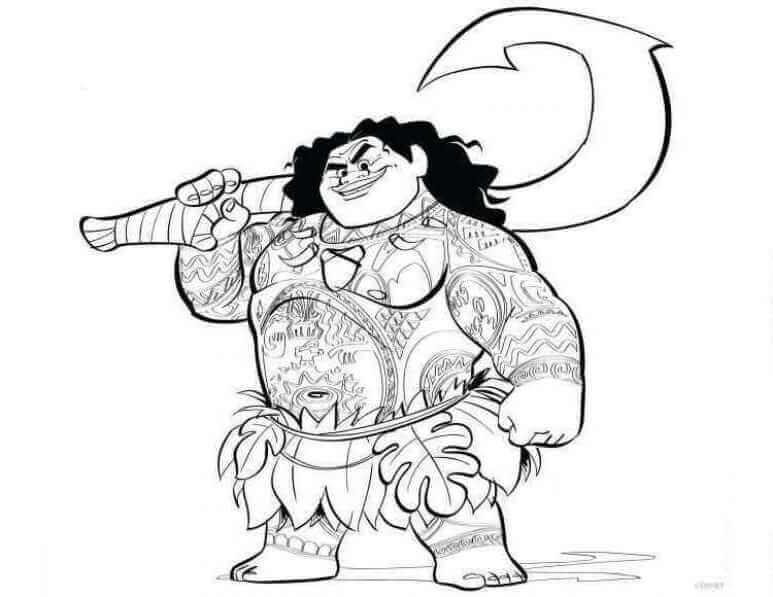 Maui’s tattoos depict each of his endeavor and achievement and Mini Maui is one of them. Found on Maui’s Chest, Mini Maui is just, righteous and occasionally pressurizes Maui to do the right thing. 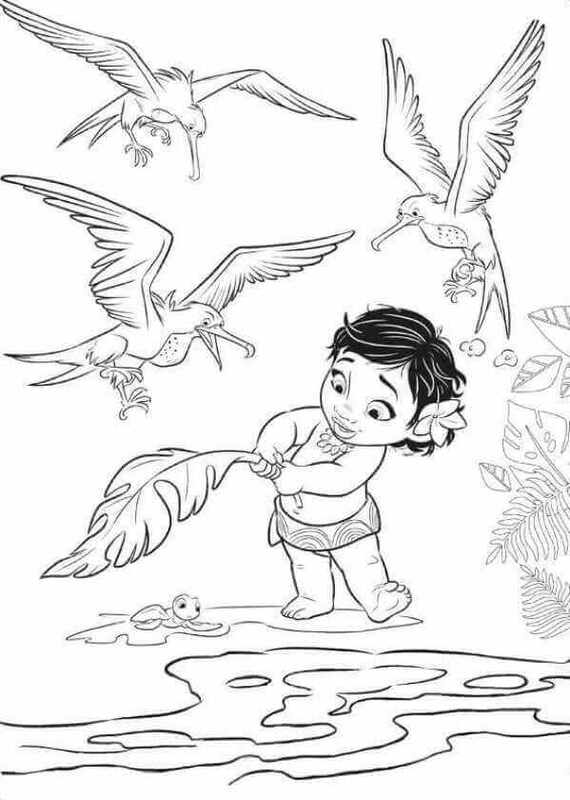 Here’s a beautiful and detailed coloring page of Moana with her pet, Pua. Did you know, the idea of including pig as a pet came to the maker’s mind after taking research trips to the South Pacific islands? It was there they learned they roosters and pigs often joined the voyagers on their voyage. 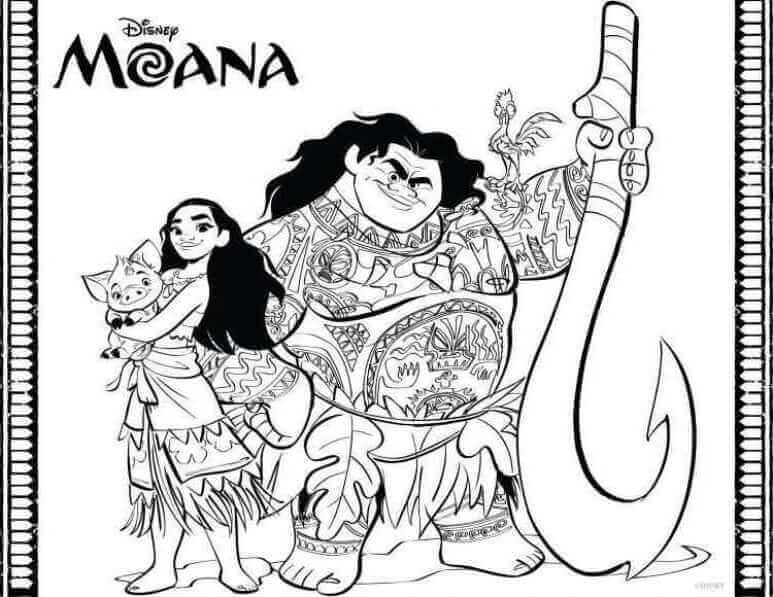 This coloring page features two of the most popular characters of this movie, Maui and Moana. The first meeting of both the leads was not very pleasant as Maui steals Moana boat and leaves her in the cave. But Moana manages to escape the cape by following her intelligence and wits. Isn’t Maui looking both confident and ferocious in this coloring picture? Maui has superhuman strength in his muscles and arms. He can jump from great heights, which damages the land, not him. He can single-handedly dig the land, lasso the sun and push up the sky. This coloring page is almost same that the one featured above, except for the fact that it has the names of both the characters written. It will give children an opportunity to practice writing and coloring within the lines. 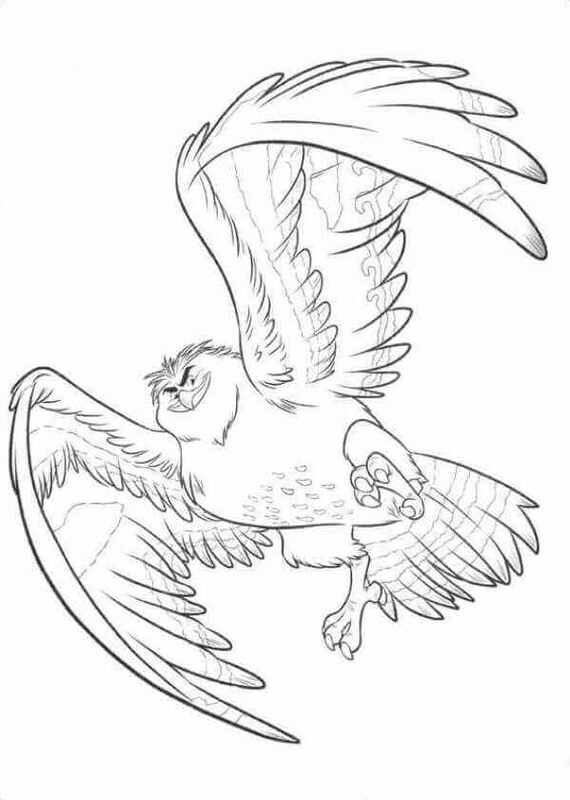 The shape shifting abilities of Maui allow him to transform into anything, including a falcon, as seen in this coloring picture. 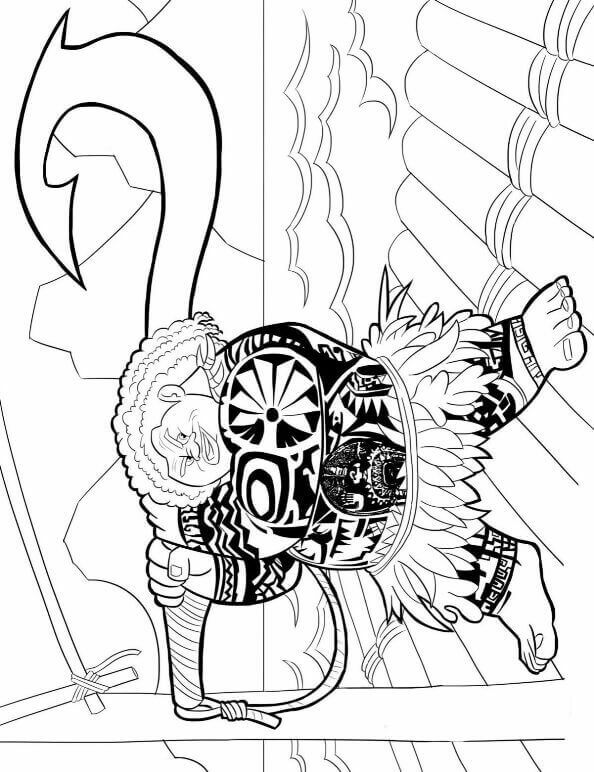 We must say Maui is looking extremely handsome posing in this coloring page. Maui’s manner of carrying himself is just like his physique- larger than life. He knows that he is responsible for almost all the luxuries and necessities belonging to mankind and wears it as a tattoo on his body. Here’s a coloring page of Maui with his magical fish hook. The fish hook was given to Maui by the Gods and has been with him through all his exploits. We think kids will enjoy filling colors in the elaborate markings of this hook. 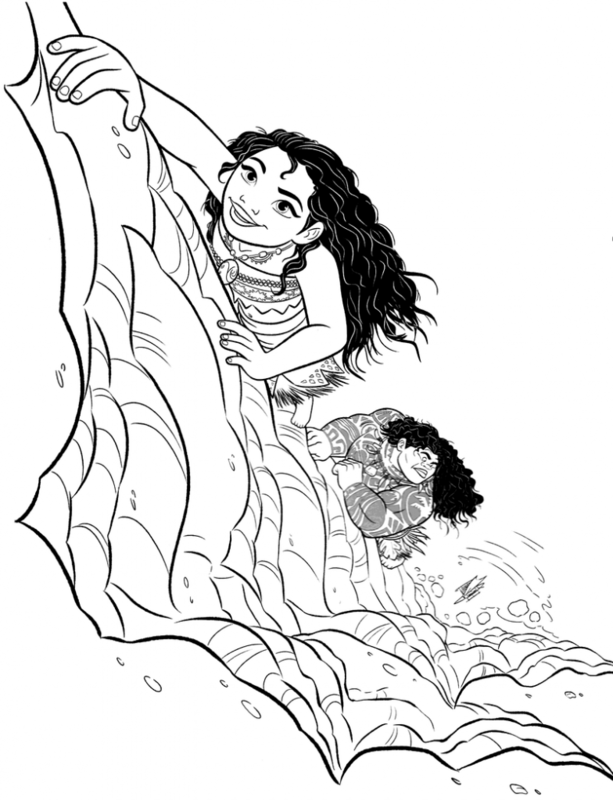 This coloring page shows Moana and Maui climbing the mountain to reach the underworld’s entrance. Together they distract Tamatoa to take back Maui’s hook. 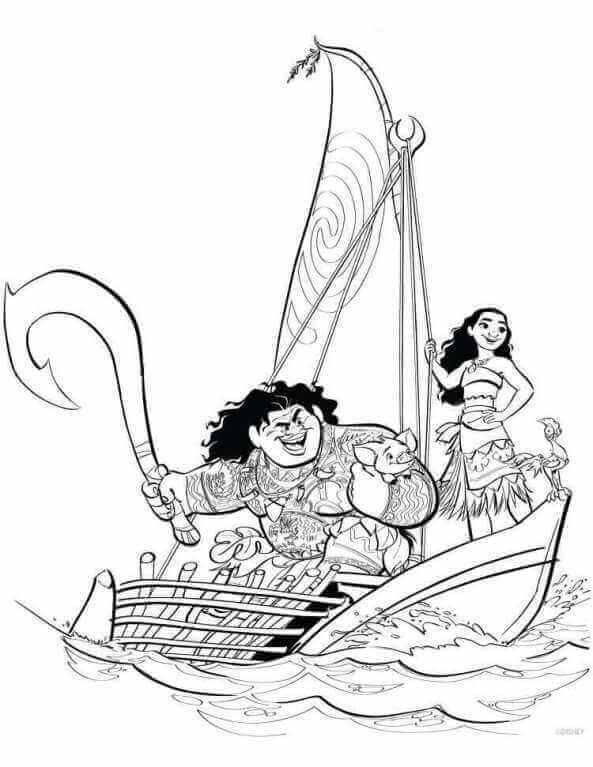 Here’s a coloring page of Moana and Maui sailing. Maui tries his level best to escape Moana, but every time he does, he is brought back to the boat by the Ocean itself. 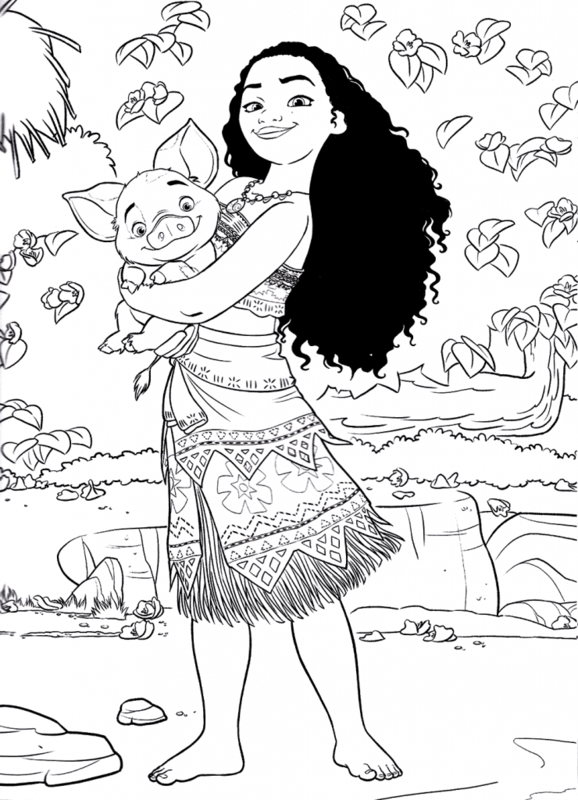 This coloring page features Moana with her crew, Pua and Maui. Unfortunately, Moana couldn’t take Pua with her for her voyage in the actual film. But in earlier version, Pua had a larger role to play. He was even supposed to join Moana on her journey but was later removed to keep him out of the danger. This coloring page was probably released in those times. 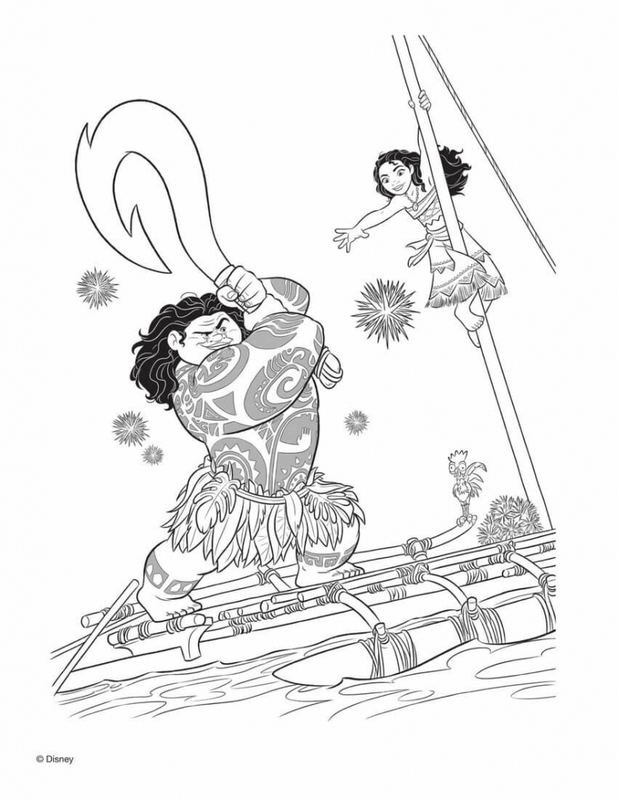 This coloring page shows Moana pestering Maui to help her restore the heart of Te Fiti. Mau refuses her initially, but eventually gives in. 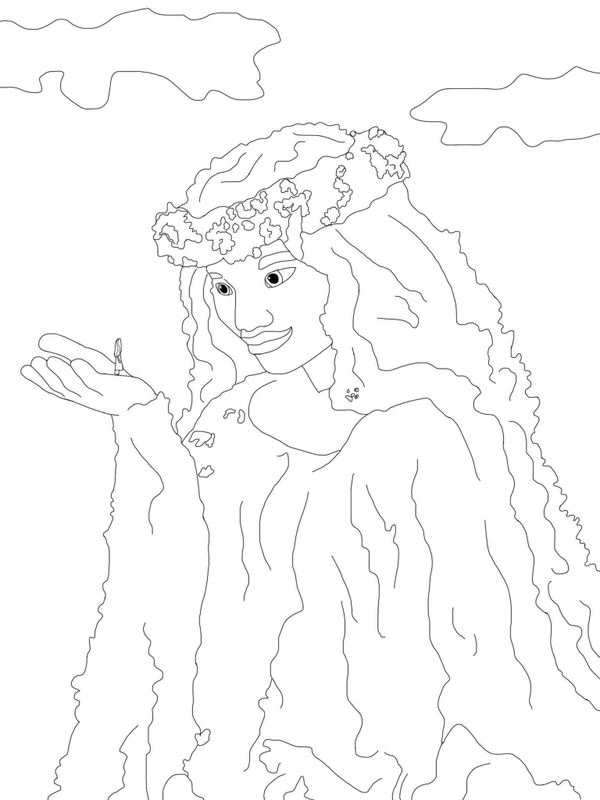 Here’s a coloring page of Tala, Moana’s grandmother and the tritagonist of this film. Just like Moana, even her grandmother has an extreme love for the sea, mainly because she belongs to the ancestry of South Pacific navigators. 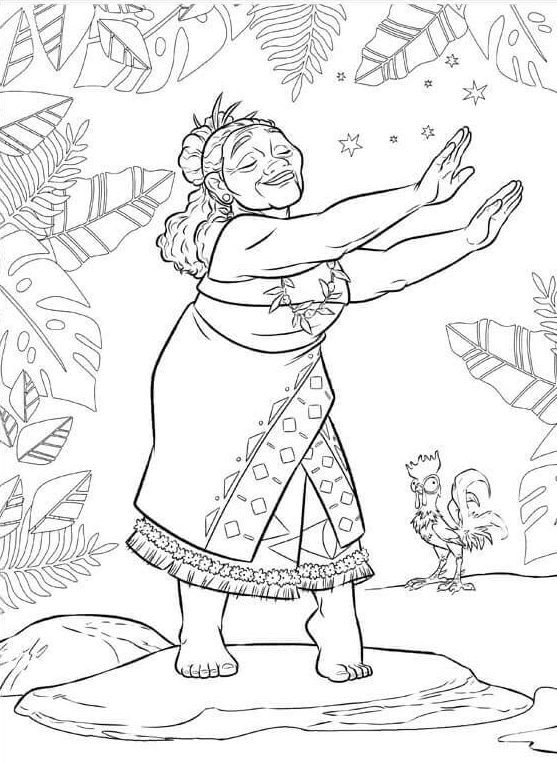 Grandma Tala seems to be in a fun and merry mood in this coloring page. Grandma Tala is the “keeper of the ancient stories”. She has a thorough understanding of her culture and heritage and even wishes to liberate the world by utilizing her wayfinding talents. 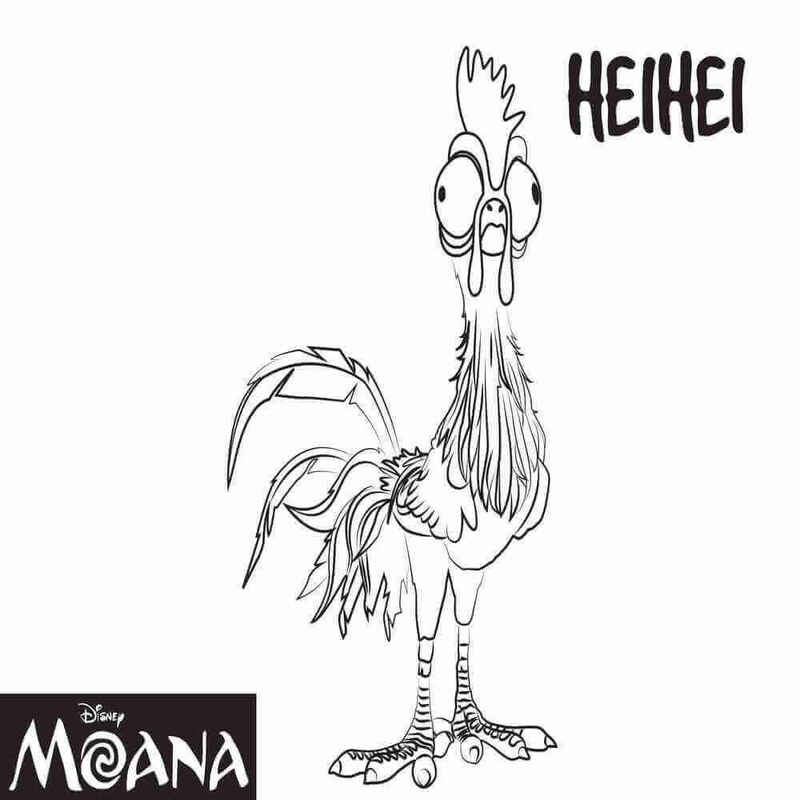 Here’s the coloring page of Heihei, the rooster who accompanies Moana in her journey, though unintentionally. Originally, Heihei was supposed to be Chief Tui’s sidekick and pet. He was portrayed to be proud, judgmental and aggressive. But the characteristics did not seem to work well for the shifting story. On seeing Kakamora for the first time, Moana thought they’re cute. But they are definitely not what they look like. Kakamora are a pirate tribe donning armor made of coconuts, whom Maui and Moana encounter on their voyage. They serve as an obstacle and tertiary antagonist in the film. 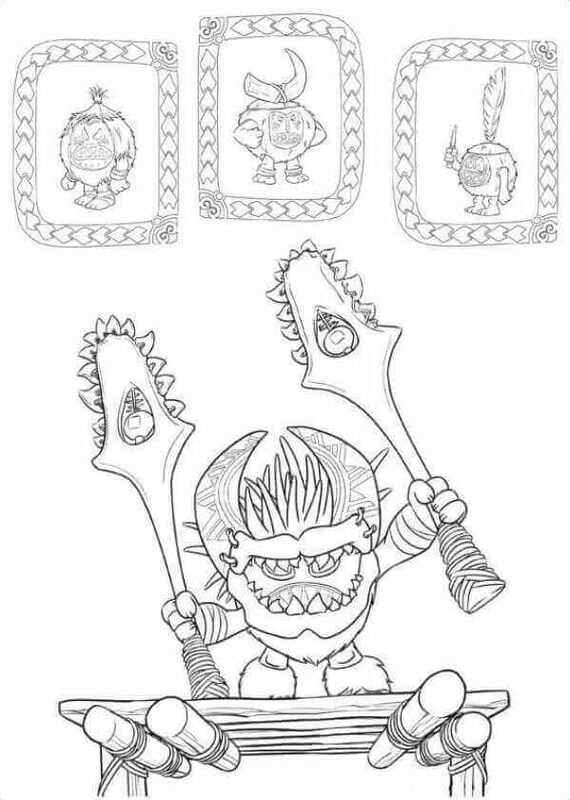 This coloring page shows Kakamora in action. When Moana was on her way, the Kakamoras attack her crew and kidnap Heihei since he had swallowed the heart. But Moana arrives on time and manages to rescue her friend. 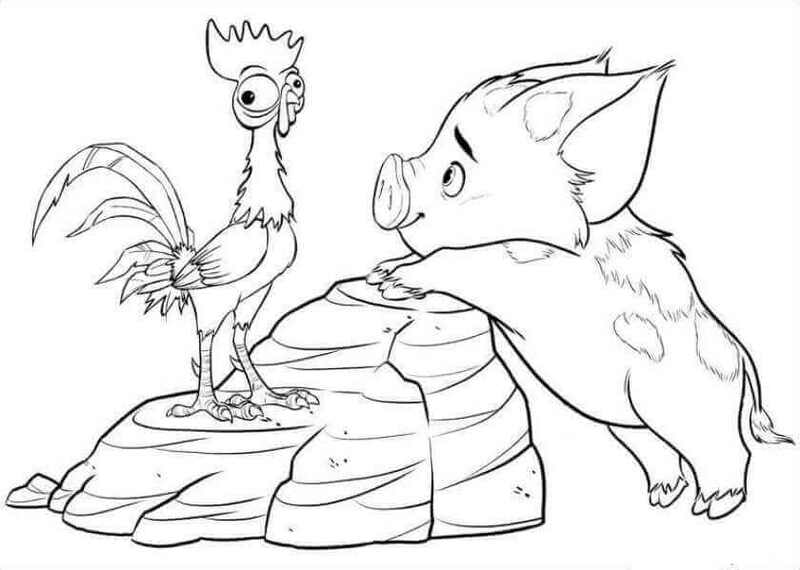 This coloring page features Pua and Heihei, the comic relief sidekicks of the movie. Despite being a pig, Pua behaves more like a puppy, always clinging on to Moana. And Heihei, on the other hand, is dumb, careless and totally oblivious to his surroundings. 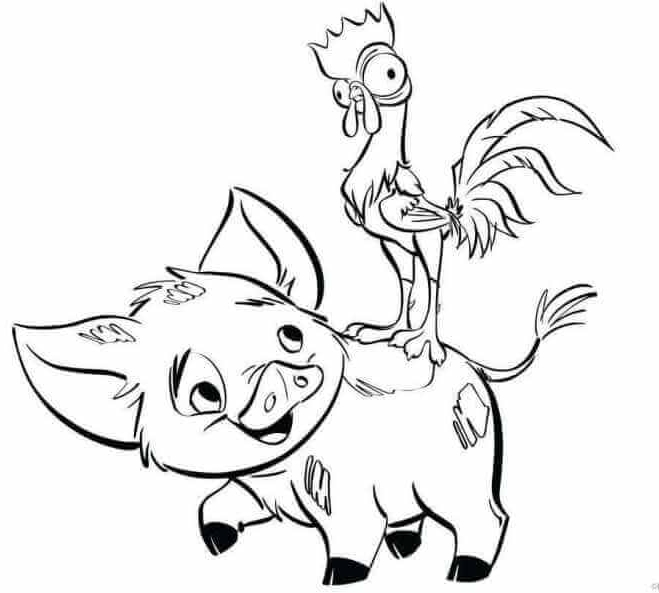 It seems that Heihei enjoys taking a ride on Pua. Here again, he’s seen hitch hiking on Pua’s back. The film wouldn’t have been the same without both these sidekicks. 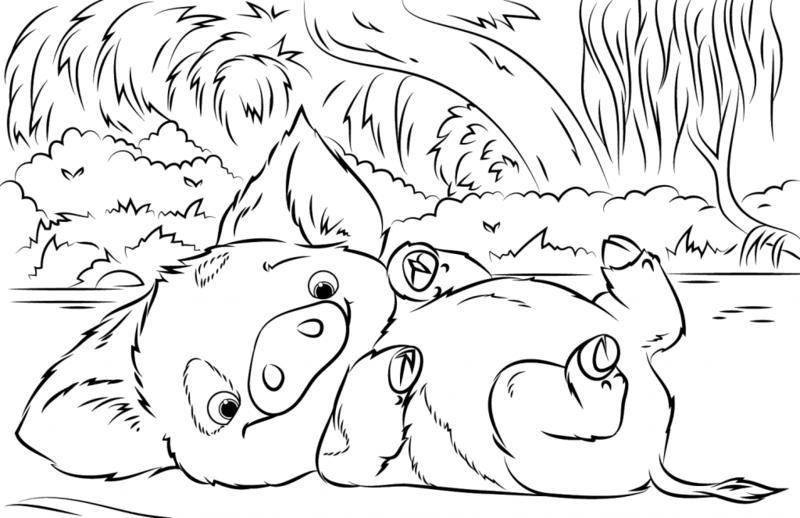 And we’re sure this coloring page will make every child an animal lover. Here’s a coloring of Moana’s adorable pet, and best friend Pua. One of the deleted scenes from the movie revealed the pure relationship between Moana and Pua. Moana found Pua in the worst of his health as he had not eaten anything. Moana, then takes Pua in his hand and starts feeding him when Pua refuses to eat anything himself. Meet Tamatoa, the secondary antagonist of the movie. 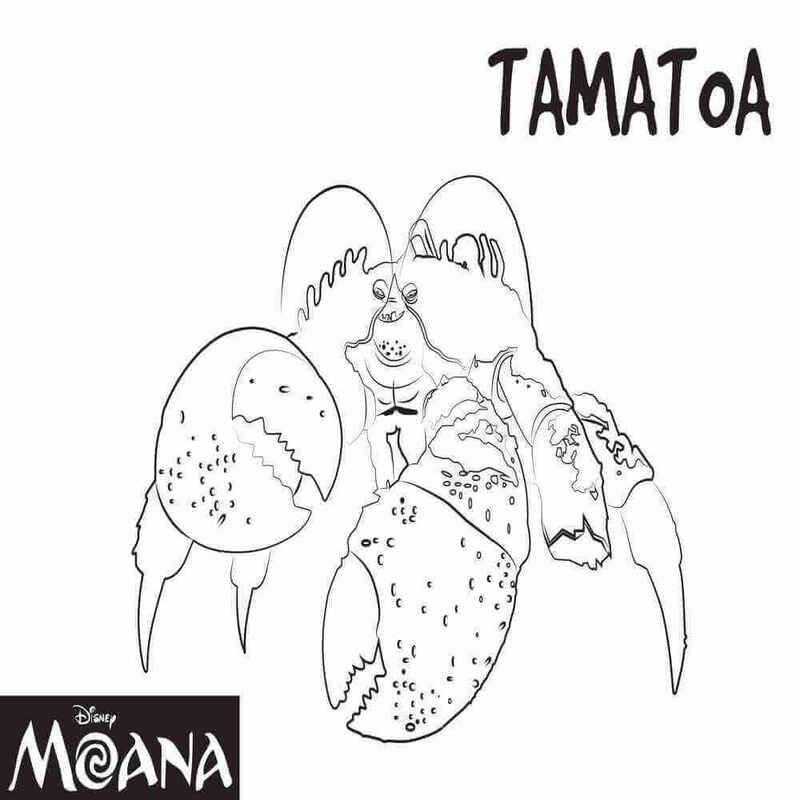 Tamatoa is a giant gargantuan coconut crab residing in Lalotai, a place inhabited by monsters. This “beady-eyed bottom feeder” is so fixated with treasures that he has even covered his shell in gold. 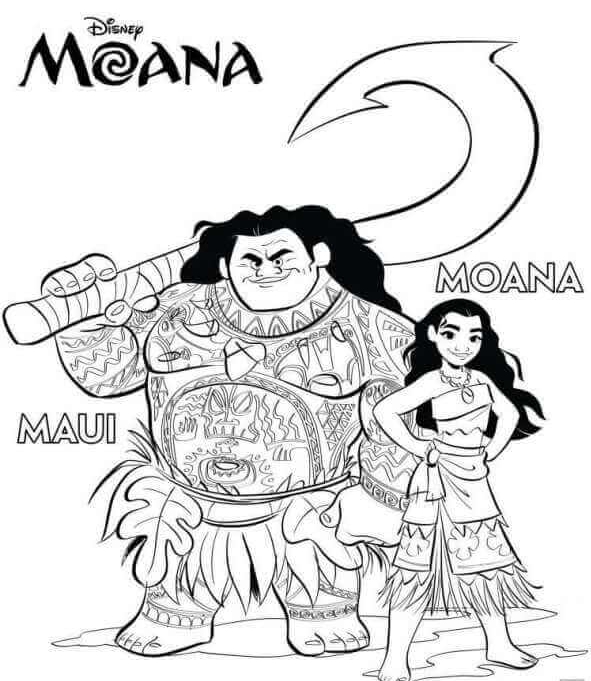 We hope you liked our list of printable Moana coloring sheets. 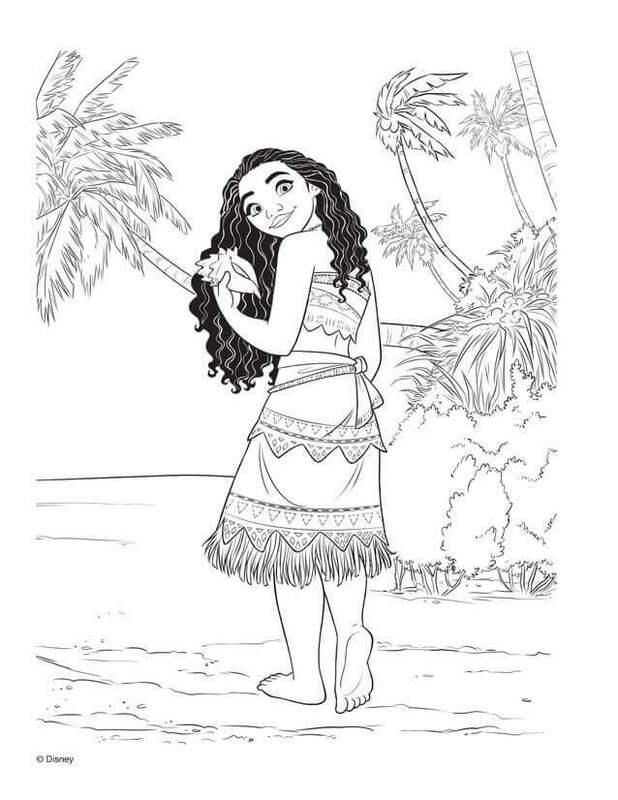 Which of these Moana coloring pages did you like the most? Let us know by commenting below.